April 13, 2017 - Like us now! ProCheck, a health startup focused on patient engagement and banishing fake drugs, has announced today that it has raised $250,000 in the seed financing round led by Sarmayacar and also joined by Pakathon/Elastica. The funding from Sarmayacar will be used to expand the sales and engineering team of ProCheck in manufacturing hubs outside Karachi, where it is headquartered. 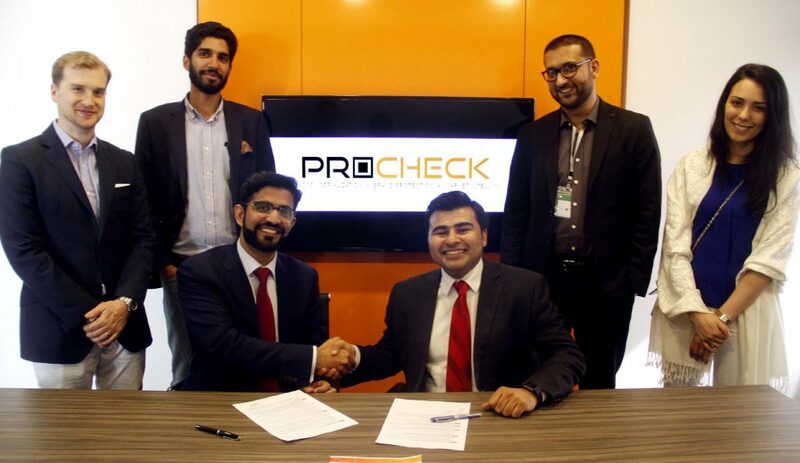 As part of the financing, Rabeel Warraich from Sarmayacar has joined ProCheck’s Board of Directors. “By offering the full stack of track and trace capabilities, SMS and app based verification services, coupled with a strong focus on analytics and patient engagement, ProCheck has established itself as the provider of choice for the pharmaceutical industry,” said Rabeel Warraich, Founder, Sarmayacar. What is Serialization in medicine? Serialization involves printing unique codes on each pack, which can be used by patients and regulators alike to confirm that the drug purchased is genuine. The regulatory bodies from across the globe are mandating the use of serialization system in order to protect patients from the menace of counterfeit drugs. By 2019, it is expected that 75% of the world’s pharmaceutical supply chain will be covered under various regulatory mandates. In Pakistan, both the Punjab Government and DRAP have finalized drafts to make serialization mandatory for pharmaceutical products over the coming years. Manufacturers are gearing up for a July 1 deadline by the Punjab government to serialize all products procured via tender, and ProCheck is in advanced conversations with leading manufacturers to help them comply. ProCheck has booked orders to protect over 50 million units of medicines, and is poised to double bookings over the course of the year. ProCheck had been a part of the first batch of Invest2Innovate, a startup acceleration program focused on impact based startups and also participated in Pakathon, a hackathon competition series that happens simultaneously in different cities of the world to tackle problems prevalent in Pakistan. This is Sarmayacar’s 3rd investment in Pakistan followed by music media platform Patari and hospital management information system Rohtas. Sarmayar is a syndicate of investors targeting investment in local startups.